The answer is quite a lot of stuff; according to its advocates and people who have used it. Argan oil is one of the latest in a long line of health and beauty ingredients to be touted for its amazing cosmetic benefits. But what is exactly is it and does it deserve the hype? Argan oil is extracted from the nut kernels of the Argan tree which is native to Morocco. If you have ever seen those remarkable images of goats climbing tress in Morocco, it is the Argan tree that they are climbing to get at its fruit. The oil extraction is still a largely manual process–one reason the price for real Argan oil is higher than other oils. The Argan tree’s botantical name is Argania spinosa. Technically speaking Argan oil is Argania Spinosa kernel oil. It must be good if goats are willing to climb trees to get it right? In Morocco and other parts of the world, the oil has been extracted for many years and used to treat wounds, rashes and to nourish the skin. Argan oil is loaded with anti-oxidants and contains vitamins A and E as well as linoleic and omega 6 fatty acids. Its manufacturers claim that it heals and hydrates and has remarkable conditioning properties as well as anti-aging qualities that make it the perfect tonic for your hair and your skin. In terms of scientific evidence, there is very little but argan oil has a rich tradition of medicinal use and in the modern world it has a growing reputation and a variety of cosmetic and healing uses. Argan oil is widely used these days as an ingredient in a number of products. 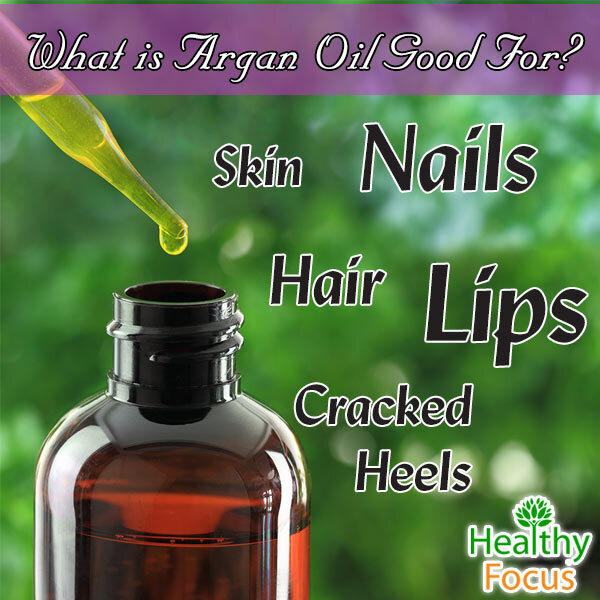 Typically, Argan is touted as a main ingredient in cosmetic products like shampoo and face scrubs. You will also see Argan oil in some hair coloring products. While it does not color the hair–it is used as a conditioner for these products. When you do look to buy Argan oil consider buying the 100% undiluted argan oil (if your budget allows); while it is not cheap-a little goes a very long way. Argan oil is a very effective moisturizer and can be used as a safe and natural part of your skin treatment regime. Because the oil is absorbed so thoroughly and quickly by the skin, it leaves no oily residue. Before bed thoroughly cleanse and dry your skin, then simply add a single drop of argan oil to the palm of your hand to warm it. Apply the oil to your face and your neck in a gentle circular motion. Argan oil is even considered to be safe to use around on the sensitive skin around the eyes. Remember not to use too much oil and add a small drop beneath your eyes with your finger. Gently tap the area beneath your eyes to apply; the vitamins contained in the oil can help reduce wrinkles and retain moisture. Don’t limit its use to your face; you can add a drop or two of argan oil to a suitable carrier oil-jojoba, coconut and sweet almond are perfect choices-and use it as a whole body moisturizer. You can either make your own natural skin toner or add argan oil to your usual toner to help leave your skin fresh and glowing. Add 3 or 4 drops of argan oil to 10 ounces of your chosen toner. To make your own toner steep a green tea bag in a cup of boiling water for ten minutes. Remove the tea bag and let the water cool then add a few drops of your favorite nourishing essential oil along with 3 or 4 drops of argan oil to the water. Keep the mixture in a sealed jar and use it as a toner every morning and night before moisturizing. The linoleic acid contained in argan oil helps keep the skin naturally healthy and reduce inflammation from acne as well as infections, rashes and insect bites. Prescription acne treatments tend to be very expensive not to mention they can actually damage the skin in the long term so why not give this natural oil a try. To treat your acne with argan oil simply dab a drop into the affected areas of your skin each evening. For an extra beneficial treatment, try combining your argan oil with a few drops of tea tree oil. Tea tree oil is one of the best natural acne remedies out there and its powerful antibacterial and antioxidant properties will complement your argan oil beautifully. Exfoliating with argan oil can help you to combat many of the effects of aging and made at home will work out considerably less expensive than some well-known commercial exfoliating treatments. Regularly exfoliating with argan oil removes dry, dead skin and gives you a more youthful appearance. Mix a drop or two of argan oil with a tablespoon of brown sugar in the palms of your hands. The brown sugar helps your skin to absorb the nutrients contained in the argan oil. Gently rub the mixture into your skin using a circular motion for several minutes. Repeat the process daily and pay close attention to dry and acne prone areas of the face. You can also exfoliate other areas prone to dry skin like elbows and feet. Both men and women can use argan oil to soothe their skin after shaving. Simply add a drop or two of argan oil to your hands to warm up the oil then massage it gently into the area that you have shaved. Argan oil improves the skin’s elasticity and contains the necessary vitamins which can help you to prevent or diminish those unsightly stretch marks. Simply warm a few drops of argon oil in your hands and gently massage it into your thighs, belly or any other areas prone to stretch marks. You do not need to limit your use of argan oil to the face and specific areas of the body. Feel free to nourish your entire body just as you would use any other body moisturizer. You can make a fantastic, all natural moisturizer by adding just a few drops of your argan oil to your virgin coconut oil and massaging it into your body every evening. Make sure that you pay special attention to any areas that are prone to roughness or dryness like the elbows knees and heals. Does Argan oil Clog Pores? As well as its various uses for the skin, argan oil can help condition your hair and keep it in beautiful shape. The amount of oil you need will depend on the length and thickness of your hair. Anything between a single drop and 3 drops should be sufficient; play it by ear until you find the amount that you need. Warm the necessary quantity of argan oil in your hands. Rake the oil through your hair giving special attention to the ends. There is some evidence that argan oil can encourage hair growth so after you have finished, take another half a drop of oil and massage it into the scalp. You can even use argan oil as a deep conditioner if you suffer from damaged, dry or weak hair. Once or twice weekly, warm 5 or 6 drops of argan oil in your hands and massage it well into the scalp. Make sure that you apply it to the ends. Put on a shower cap to help the oil penetrate the skin and your bed oil free. Wash and rinse it out the next morning. You could also make an Argan Oil hair mask with coconut oil. If your lips are dry or prone to cracking, rub a drop of argan oil into your lips to help keep them moisturized and in good condition. Argan oil can keep your nails conditioned and your cuticles well-nourished and moisturized. Remove nail polish from your finger or toe nails. Apply a tiny spot of oil to each of your nails and rub it in-not forgetting your cuticles. Once you have applied it to all your nails, wash them thoroughly and rinse to get rid of any excess before applying polish again. Argan oil can also help keep your feet moisturized and is especially beneficial for those suffering from cracked heels. Before bed, massage two drops of argan oil into the affected areas. Cover your feet with a pair of socks and let your skin absorb the oil overnight. Despite the fact that argan oil is best known in the West for its cosmetic benefits, the Berber women of Morocco have been using it for cooking purposes for centuries. 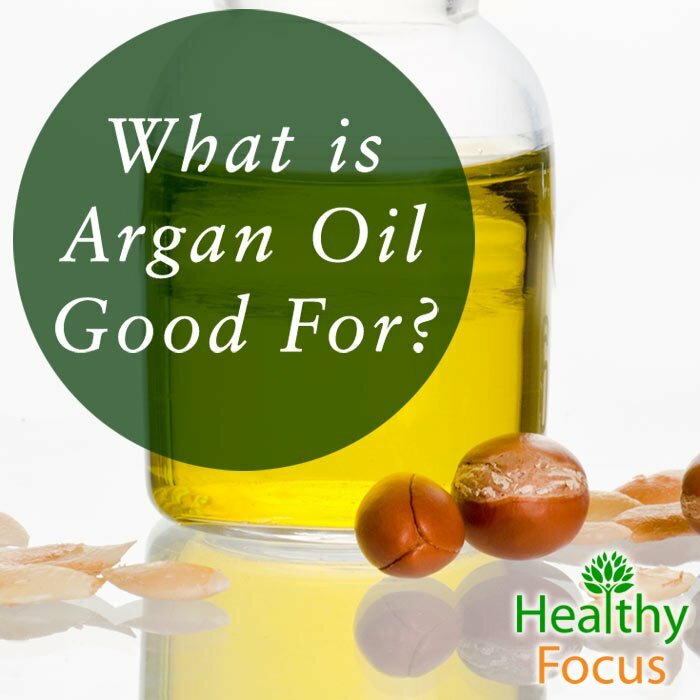 There are plenty of good reasons to use cooking argan oil. It has a unique nutty flavor, it contains 3 times more Vitamin E than even olive oil and has demonstrated an ability to lower cholesterol levels. Unlike the cosmetic argan oil where the seeds are cold pressed immediately, cooking oil is made by lightly toasting the seeds first. Culinary argan oil is more expensive than virgin olive oil because it takes around 30 kilos of the fruit to produce just a liter of the oil. I have personally never tried cooking oil but the internet has many excellent recipes including some delicious looking traditional Moroccan recipes. Argan oil is natural, healthy and safe to use for the vast majority of people but please bear in mind that it may cause a reaction in people who suffer from nut allergies. Despite the fact that argan is technically a fruit rather than a nut, there have been a few reported cases of people suffering an allergic reaction. If you are uncertain, then it would be best to perform a small patch test on a small area of your inside arm before applying it elsewhere on your body. Argan oil is widely available in health stores and over the internet. It is certainly not cheap but you generally get what you pay for. Despite being more expensive, you should make sure that you are getting 100% pure argan oil which was cold-pressed. Plenty of companies are selling cheaper versions but they will not have the beneficial properties which pure argan oil possesses. Despite being expensive, we think it is worth the money if you can afford it. It is so versatile that it can be used to replace numerous expensive products that you would otherwise be using like lotions, moisturizers and conditioners. The bottom line is that argan oil is a natural and healthy product with a variety of cosmetic and physical benefits. We think it is worth trying so give it a go and see for yourself if all the fuss is worthwhile.